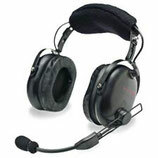 This headset is always a top seller because of its comfort and affordability. Customers tell us they like the wire articulated boom with fingertip adjustable screws that lets them easily position the mic. They also like the ventilated headband that helps them keep a cool head. If you're looking for a reasonably priced headset that offers dual volume controls for adjustment of each ear dome, plus many comfort features, including liquid/foam ear seals, and an air pillow headpad, plus a precision flex boom with noise-canceling mic, this is the perfect choice. The Venture 70 Passive Fixed-wing stereo headset delivers an outstanding combination of comfort, performance, and good looks. 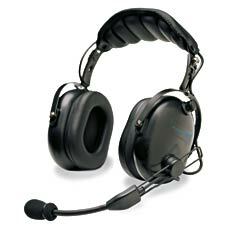 This headset weighs a mere 17 ounces and comes with supple ComLeather ear seals and washable polar-fleece head pad for long-wearing comfort. 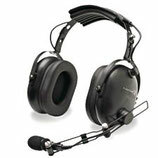 Like other Flightcom Venture series headsets, the Venture 70 provides a 24dB NRR barrier against cockpit noise. Dual volume controls with stereo/mono switch optimize hearing. The powder-coated black headband and carbon fiber print ear domes look professional in any cockpit. A lightweight carrying case is included.